Will the addition of BlackBerry 6 operating system breathe new life into RIM's flagship phone? A great update to the Bold line, thanks to BlackBerry 6. With the arrival of the BlackBerry Bold 9780, fans of the BlackBerry Bold 9700 will no doubt be jumping at the chance to see how good RIM's latest flagship phone is. While there are a few physical changes to note from its predecessor, the big news is the addition of the BlackBerry 6 operating system. We've got the Social Feeds view, a new WebKit-based internet browser, Universal Search, a richer media experience and lots more besides. The camera has been bumped up to five megapixels from the 9700's three, while the chrome edging has been toned back to black or white and the faux leather has also been dialed down. Inside, things haven't undergone a major revision either, with one significant exception: the RAM has been doubled to 512MB from the 9700's 256MB. That's great news for the all-singing, all-multitasking new operating system. Otherwise, we're still looking at 3G and Wi-Fi connectivity, the full QWERTY keyboard, 480x360 2.44-inch screen and a host of built-in apps, including BlackBerry Messenger and BlackBerry App World. 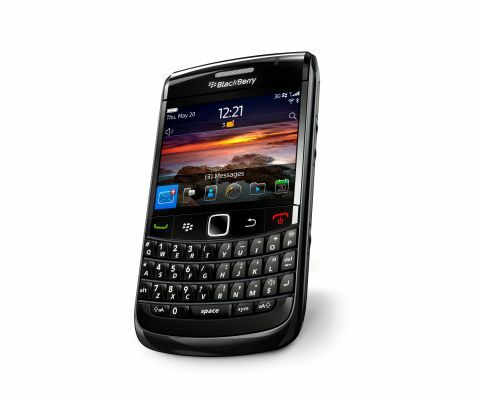 The Bold 9780 is available in black or white and is free on contract depending on your monthly bill. Ours was supplied by T-Mobile, and was tested on that network.